The enduring popularity of Vine and Instagram video proves that people use different video-sharing apps for different reasons. Vine’s six-second loops seem like they’re made for comedy, while Instagram’s 15-second videos are like photographs put in motion. Ocho is a new iOS video-sharing app that lands squarely in the middle with eight-second clips, but it also has a slew of features—and some high-profile partnerships—that set it apart from the pack. New York-based cofounders Jonathan Swerdlin and Jourdan Urbach started building Ocho two years ago with one question: “What would YouTube look like if it was started in 2013?” Swerdlin told Macworld. 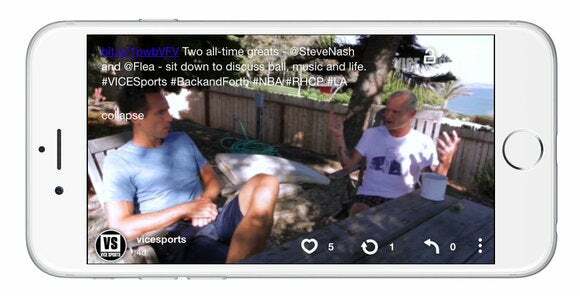 Videos finally looked good on phones, but this was before Vine, before Instagram video. No apps let you create and share videos on the go. Times have changed, but Ocho is debuting with a set of tools—and a bigger-is-better emphasis—that its established rivals don’t have. 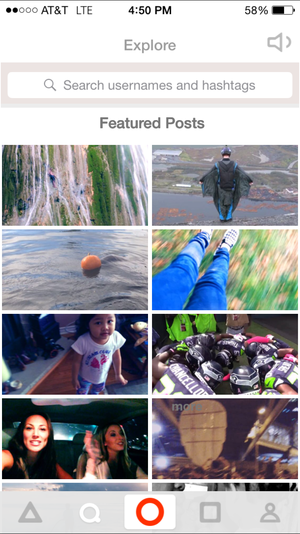 When you scroll through Ocho’s main feed, you’ll notice that videos look like widescreen film clips. If you rotate your phone to browse in landscape mode, the clips take over your entire screen and auto-play one after the other. Ocho is as easy to use as other video-sharing apps, but has some features that others lack. You can shoot clips within the app or upload them from your Camera Roll. Like Instagram, you can slap a filter on your video, but Ocho takes editing further with a slider tool that lets you cut out background noise and add voiceover narration, a feature I haven’t yet seen in other video-sharing apps. Ocho’s founders decided to avoid text-based comments and instead allow video replies in an attempt to elevate the discourse on videos. Full-screen videos, voiceover, and clips-as-comments will make Ocho stand out once people sign up, but the new app doesn’t have a powerful parent company promoting it like Vine and Instagram video did (with Twitter and Facebook, respectively). But Ocho does have seed funding from Mark Cuban and a partnership with Vice Sports to offer up exclusive sports videos. The point is to offer creators a way to create bite-sized, shareable videos—emphasis on shareable. “The long-term sustainability of a platform depends on the way it integrates with the other parts of Internet,” Swerdlin said. Ocho just launched in the App Store on Tuesday, so long-term sustainability is a ways off, but the oversaturated social media market may need one more video-sharing app after all.